I Believe I Can Fly - Flight of the Frenchies is an amazing journey into the unknown. Two friends test the boundaries of free flight and friendship as they take their passion in a totally new direction. 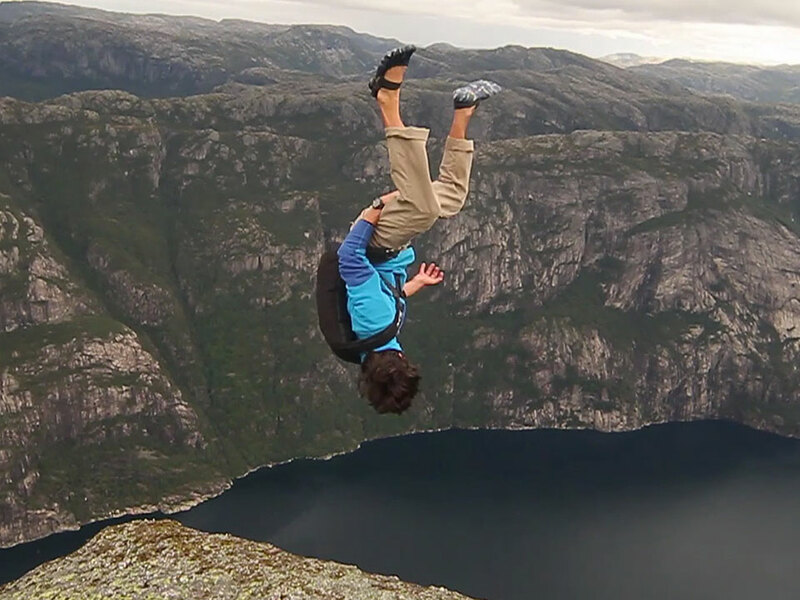 Join Tancrede and Julien on an incredible exploration into the world of free flight. 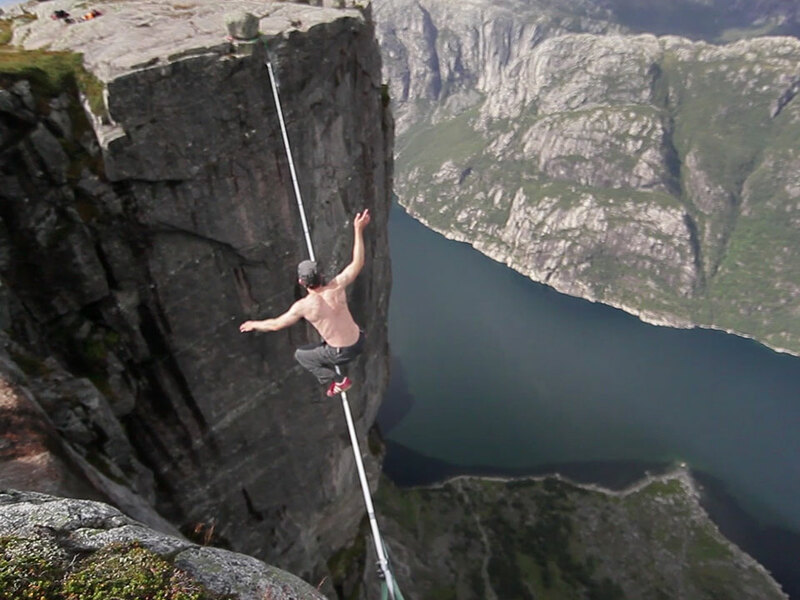 The two friends are pioneers in ‘highlining’ - a vertiginous combination of climbing, slackline and tightrope walking. Using their skills and experience as climbers, the pair push their boundaries beyond the realms of possibility as they embark on a new evolution of their sport. 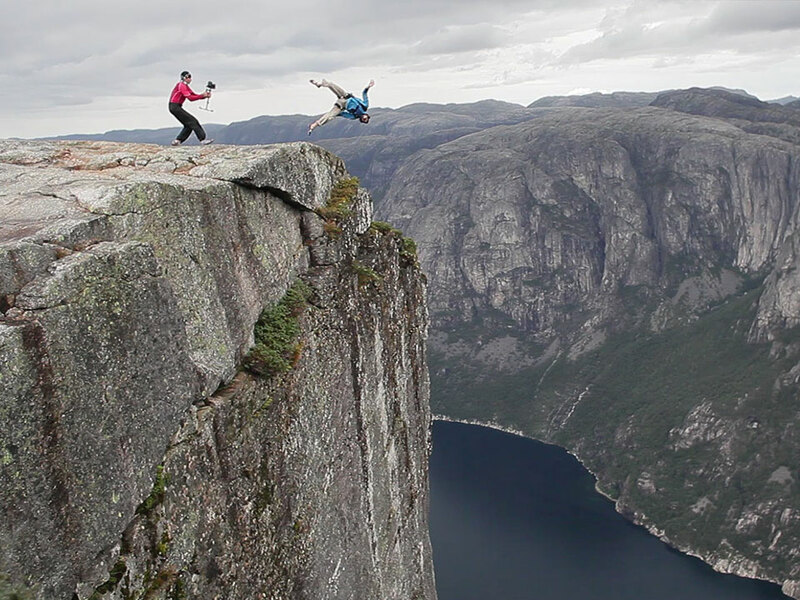 We travel from the Verdon gorge to the skyscrapers of Paris, and finally to the spectacular cliffs and fjords of Norway - where the pair plan to put weeks spent training to the ultimate test. Could months of planning and training really lead them to their dream of complete freedom... the freedom of flight? The talented friends featured in the film have been instrumental in the innovation and development of highlining and baselining, and this exciting project was born from their passion and love for what they do. It was filmed amongst a group of friends, with no funding or sponsorship for the training, filming & production involved. Money helps to pay for the next project, where freedom and artistic expression is more important than paying ourselves. Flying Frenchies 2014, all rights reserved.